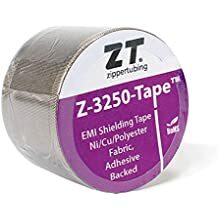 Z Flex Tpu - Z Flex - Trade Names - ZT | Zippertubing Co.
With the right procedures, Z Flex® (TPU) could be used in the medical field, including in hospitals, operating rooms, trauma centers, and emergency rooms. A complete 360° cable management protection solution may be needed, and you’ll find it with Zippertubing’s Z Flex® product line. This product is the perfect blend of wire, hose, and cable protection because it provides a high-temperature, halogen-free, and flame-retardant solution. 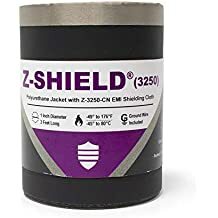 Z Flex® products are sealed using a specialized RF heat sealing machine that seals both sides of the product, creating a complete 360° protection barrier from liquids. Once the product manufacturing processes are complete, a nylon leader is installed so that pulling your wires through the product is much easier. Because of the flat profile of the Z Flex® product line, these products are ideal for ribbon cables or applications with flat or rectangular profiles. Although this Z Flex® (TPU) is not specifically manufactured using a clean room in sterile conditions, with the right procedures, it could be used in the medical field, including in hospitals, operating rooms, trauma centers, and emergency rooms.